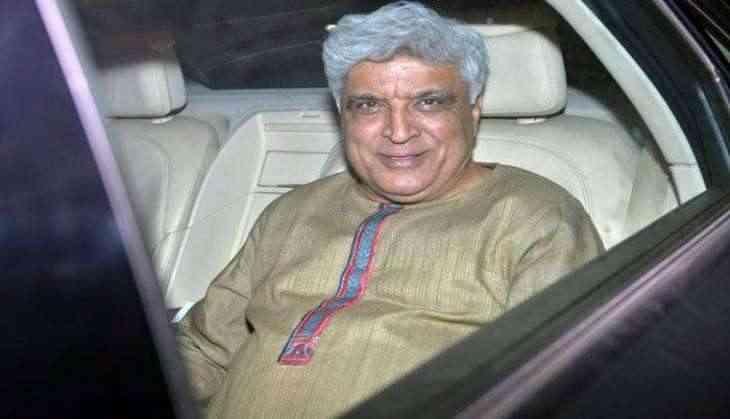 Writer-lyricist Javed Akhtar, son of eminent Urdu poet Jan Nisar Akhtar, says sensibilities as a writer don't come on a platter and are not available in any shop. "Sensibilities as a writer don't come on a platter. You can't go and buy them from a shop. It is something you learn and you develop this by reading various kinds of books and classics. But only reading classics can make you dry and too serious, so young people should also read light literature, humour, and detective novels," Javed said here on Monday. "I feel you shouldn't be in a hurry to become a writer. One day when you will be fully inside, only then you will be able to write because then you can write well," he added. Javed spoke at the launch of Kainaz Jussawalla's first novel "Coffee Days, Champagne Nights And Other Secrets". He also said no medium can replace books. "Nowadays, life has been at a kind of fanatic speed. Everything is either Googled or found on the smartphones. People hardly have any time for books, leave aside writing. They don't have time for reading. But I suppose no medium can replace books." "Today I see most of the children on iPads or they are watching TV, but the difference between an iPad, which is audio-visual medium, and the book is that you are given a fixed menu. There is no participation of the viewer. The viewer is the only receiver." "But when you are reading a book, particularly fiction, that time you are making your own locations in your mind, faces of characters, sets of houses... So when you read the book your imagination enriches and it gets exercised, which doesn't happen when everything is provided to you. For that, you have to use your own energy and mind." "People want the easy way out and they want everything on a platter, which I feel is not correct." When asked about the inspiration behind writing great scripts and lyrics, Javed replied: "It's not a surprise that I write. It would have been surprising if I hadn't become a writer. I come from a family of writers. I am the sixth generation who is into writing. My children also write." "Farhan has started writing lyrics in English. Zoya is also a poet. Both of them write their own films' scripts and they are our seventh generation in writing. I have inherited these skills from my mother and father's side. I suppose, if some people are doing something for generations, then to some extent, the child becomes programmed to do that." "I was interested in reading right from my early childhood and that's how it all started."